Target doesn’t deny that its contractors lock all the doors on the graveyard shift. In OSHA charges filed last week, twenty-five workers allege that they were regularly locked indoors while cleaning Target stores in the Twin Cities. Hernandez has worked for all three of the janitorial contractors named in the OSHA complaints: Carlson Building Maintenance, Prestige Maintenance USA and Diversified Maintenance Systems. Currently unemployed, Hernandez is an activist with the Minnesota labor group that organized the complaints, Centro de Trabajadores Unidos en la Lucha. While the cleaning workers are legally employed by Target’s contractors, CTUL charges that Target management has been well aware that they’re being locked inside its stores. Hernandez told The Nation that there was generally a single manager on site during his shift, and those managers were employees of Target, not of the contractors. He added that in an emergency, workers would have needed to get the manager to unlock a door and let them out of the building, and “you can’t necessarily find them very easily” within the store. Asked whether Target has a corporate policy regarding whether workers can be locked inside its stores overnight, Snyder said, “All individuals who are in Target stores after hours receive information on Target’s standard safety protocol which includes the locations and use of clearly marked fire exits and doors, which allow them to exit the building any time.” Hernandez, like several workers who filed the OSHA charges, said he never received such information. Phil Toomey, Prestige’s outside general counsel, declined to comment on the OSHA charges on the grounds that he had not seen them. Asked whether it is his company’s practice to lock workers inside a building during their shift, Toomey told The Nation, “It’s practice at Prestige to comply with federal and state law. They don’t own the building.” Carlson Building Maintenance and Diversified Maintenance Systems did not respond to requests for comment. “All of the doors were locked,” said Hernandez. “We couldn’t leave. I don’t know why they would do that.” Hernandez told The Nation that the contractors also paid “very low” wages, and never provided safety training regarding the chemicals they were working with. Walmart has also faced criticism over locking overnight shift workers within its stores. In a 2004 story, The New York Times’s Steven Greenhouse interviewed Michael Rodriguez, a Walmart worker who said that after his ankle was crushed in a work accident, it took an hour before someone let him out of the store. A Walmart spokesperson told Greenhouse that, at the discretion of local managers, “doors are locked to protect associates and the store from intruders.” Walmart said that workers could use fire exits to escape in an emergency. Rodriguez said he didn’t, because management had insisted that workers who used the fire exit when there wasn’t a fire would be terminated. 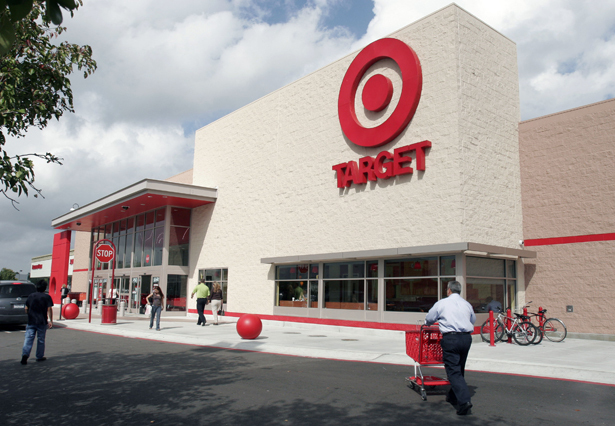 Target is entirely non-union in the United States. The UFCW, the main union backing the Walmart retail workers group OUR Walmart, filed for a union election in 2011 at a Target store in Long Island. The UFCW lost that election following an anti-union campaign which the union alleged included illegal threats and bribes by management. The OSHA complaints are one component of a two-year-old CTUL campaign to change conditions for retail cleaning workers in Minneapolis and St. Paul. CTUL organizer Veronica Mendez told The Nation that the effort “is now really coming to a head at Target.” CTUL is collaborating with the Service Employees International Union, which currently represents janitors in nearby office buildings, in hopes of winning union recognition for their counterparts in stores like Target. With current SEIU members in office buildings on the verge of a potential strike, Veronica said those efforts—which have so far included lawsuits and demonstrations—are likely to escalate within the next month. The shop floor isn't the only place where workers are fighting for their health and safety. Read Micah Uetricht's piece on labor's role in the push for universal healthcare.